Samsung’s midrange smartphones have not been a hit in recent times. 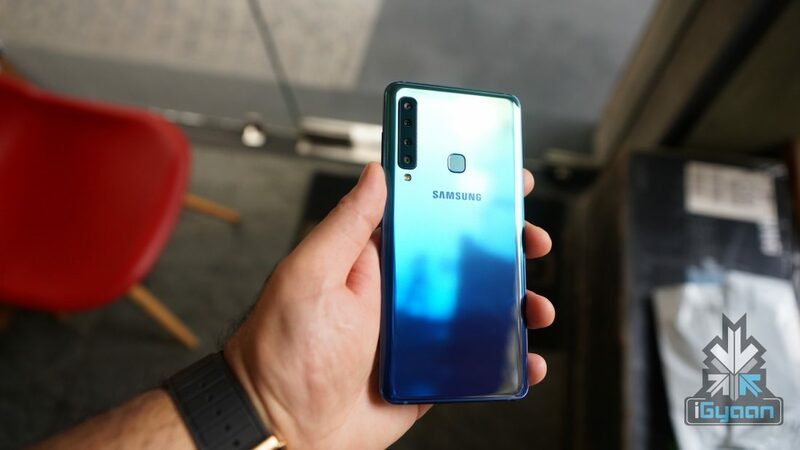 But, things might soon change due to the newly launched Samsung Galaxy A9 that has quad rear cameras and 128 GB of internal storage. 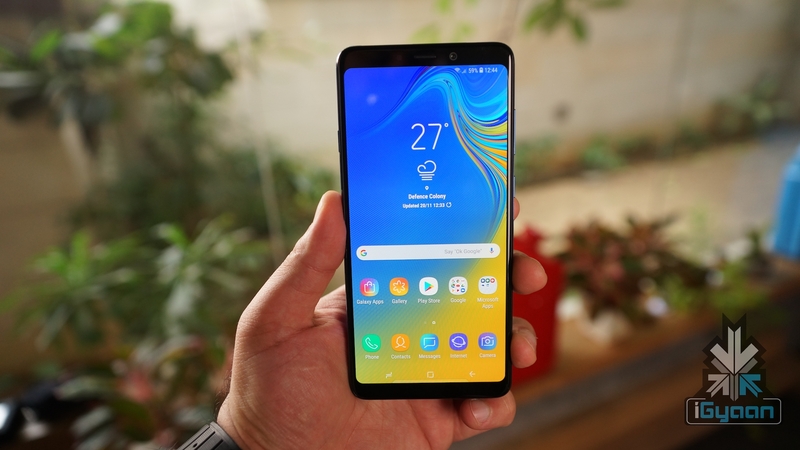 The Samsung Galaxy A9 was launched last month in Malaysia and some European countries. Now the company has launched the smartphone in India as well. 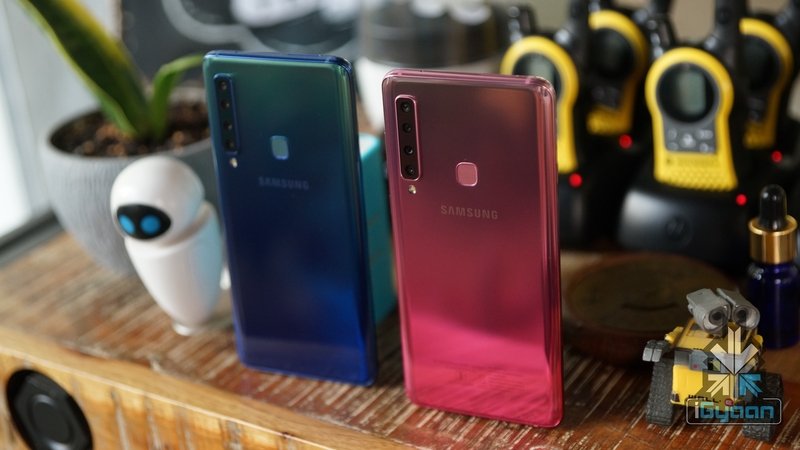 The new Samsung Galaxy A9 has an all-glass front and rear build with an aluminum unibody frame. The front of the smartphone has a 6.3 inch Super AMOLED display with a resolution of 2220 x 1080 px and a pixel density of 392 ppi. The phone has thin bezels on the left and right side while the top and bottom bezels are quite prominent. 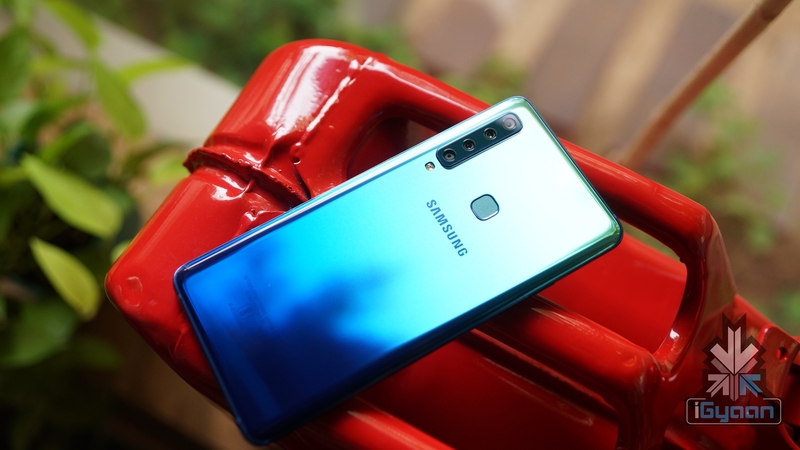 It has a f/2.0 aperture equipped 24 MP front camera which along with the speakerphone and ambient light sensor is housed in the top front bezel. The front camera can also capture 1080p videos at 30 fps. 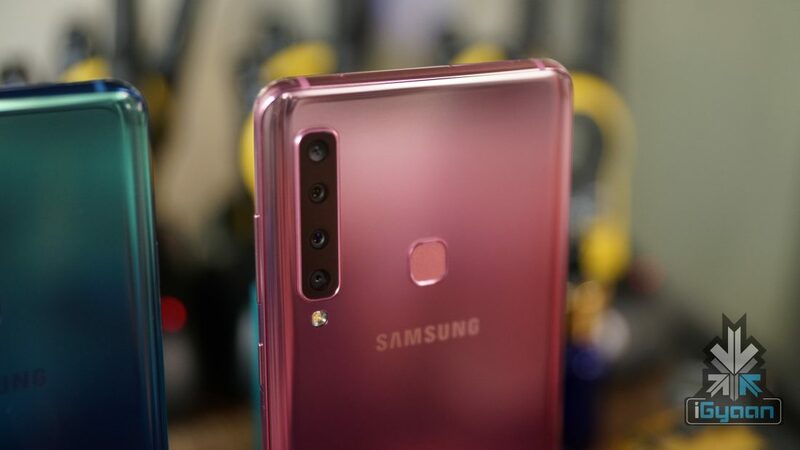 The rear of the Galaxy A9 houses the key highlighting feature, the quad camera setup along with a LED flash. The company branding and the fingerprint sensor are also placed on the rear of the device. The left side of the smartphone is occupied by the dedicated bixby button while the volume controls and the power button are on the right. The dedicated microSD + dual sim slot is present on the top of the phone. Under the hood, the smartphone has the Octa-core Snapdragon 660 CPU along with the Adreno 512 GPU. In terms of memory and storage the Galaxy A9 in available in 6 GB + 128 GB and 8 GB + 128 GB variants, which is expandable upto 512 GB via a microSD card. The smartphone runs on Smasung’s TouchWiz UI which is built on top of Android 8.0 Oreo. The device is powered by a 3,800 mAh Li-Ion battery that also supports fast charging. 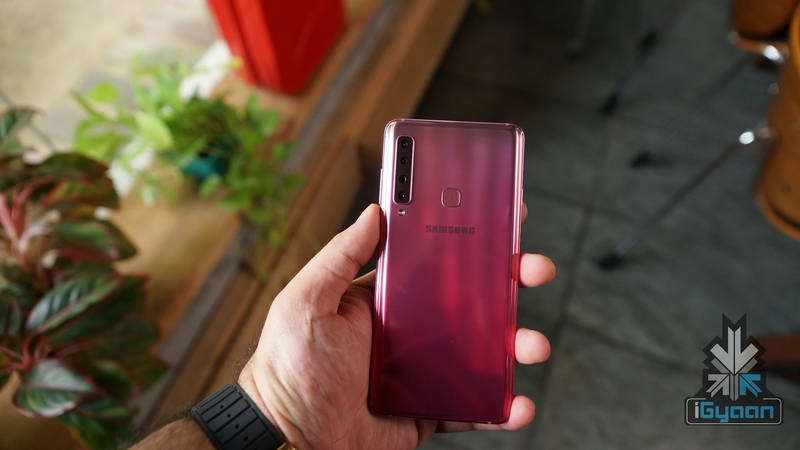 In terms of connectivity, the Samsung Galaxy A9 supports dual 4G VoLTE, 802.11ac Wi-Fi, NFC and a USB Type-C reversible port for charging and data transfer. 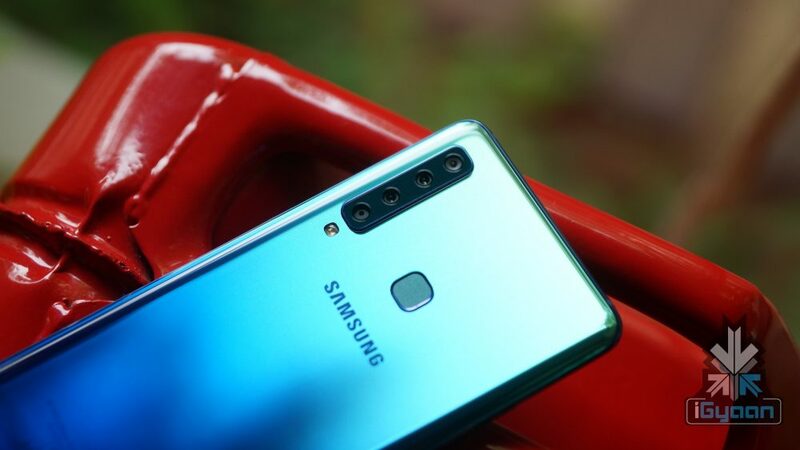 The quad rear cameras on the Samsung Galaxy A9 are arranged in a vertical manner and the LED Flash is placed below this arrangement. Each of the four camera sensors on the smartphone has a dedicated function. It has an f/2.4 aperture 8 MP sensor which is an ultra-wide lens with a 120-degree viewing angle. Next, is the f/2.4 aperture 10 MP sensor that has a telephoto lens with 2x optical zoom capabilities. These are accompanied by an f/1.7 aperture 24 MP sensor and an f/2.2 aperture 5 MP depth sensor. The smartphone has a price tag of Rs 36,990 for its 6 GB + 128 GB variant and Rs 39,990 for its 8 GB + 128 GB variant. It will be available via both online and offline channels. Pre-bookings for the phone start today and it will be available from 28th November 2018.